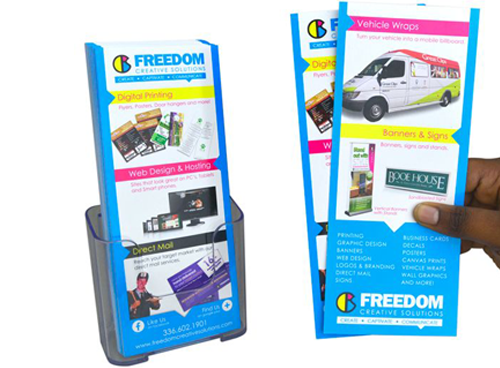 Rack Cards are like a printable sales team. Convenient, attractive, and versatile. They sit on shelves and trade tables, catching the attention of bypassers and telling them all about your business. Or you can enclose them in envelopes and add panache to your mail pieces. Check below, and see a few of the kinds we provide.